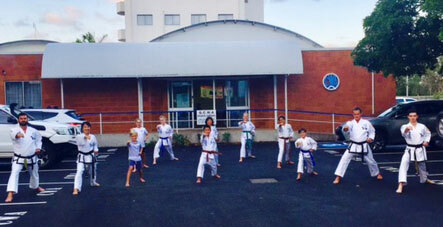 Welcome to Rhee TaeKwon-Do Maroochydore! Contact the Instructor today to arrange your Free Trial, or simply turn up at the times listed on this page. Maroochydore Dojang will be closed on Thursday the 9th of May, and Tuesday the 4th of June. No commitment, free trial classes available! Feel free to contact me for more information. For more information please submit this form and the instructor will respond to your enquiry. All Rhee TaeKwon-Do Instructors are professionals and officially appointed by World Master Chong Chul Rhee. All classes are held in a fun, positive and controlled environment. Suitable for you and the whole family, Rhee TaeKwon-Do is a great way to get fit and develop a sound body and sound mind. Contact your local Rhee TaeKwon-Do instructor using the form on this page to ask a question or arrange your unlimited free trial.